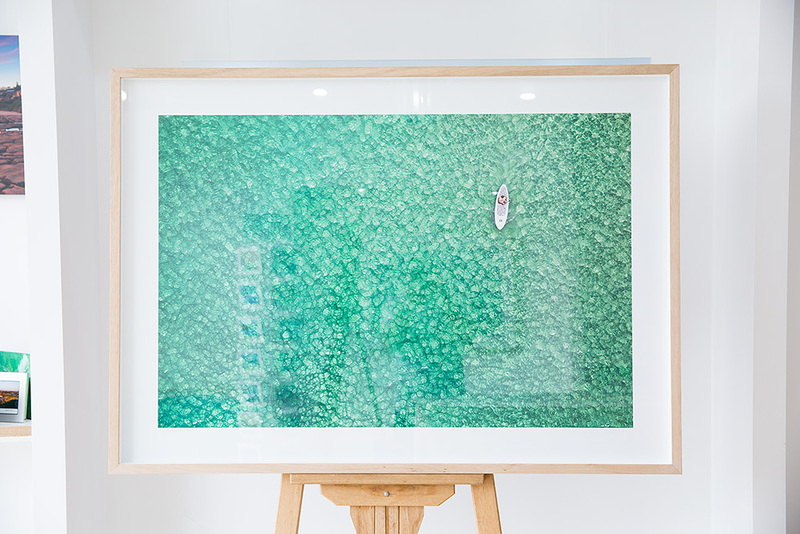 A 60 x 40 inch wide (150cm x 101cm) aerial photo of a Paddleboarder in Bondi. Printed on the Kodak Metallic paper, mounted to Aluminium, acrylic instead of glass for safety. Looks stunning, no photo does this justice. Finished in our RAW Tasmanian Oak frame. Packed and Shipped to Sydney, NSW.